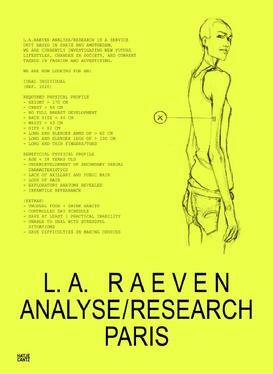 ‘Analyse/Research Paris’ about 10 years of L.A. Raeven’s work was launched at the solo exhibition at Museum voor Moderne Kunst Arnhem (MMKA). The book is available for € 35,- excl. shipping costs via info@laraeven.net or go to the contact part of our page (please mention if you would like to get a signed copy).